Easy for brunch along with any gravy side dish. Broccoli is good for health as everyone knows. One pot rice dish is always simple to make, not much time needed too. Try it. For this rice i made a Paneer Kurma i feel it is a good combo. Will post the paneer kurma in my next post. Never tried broccoli in rice. Nice one. 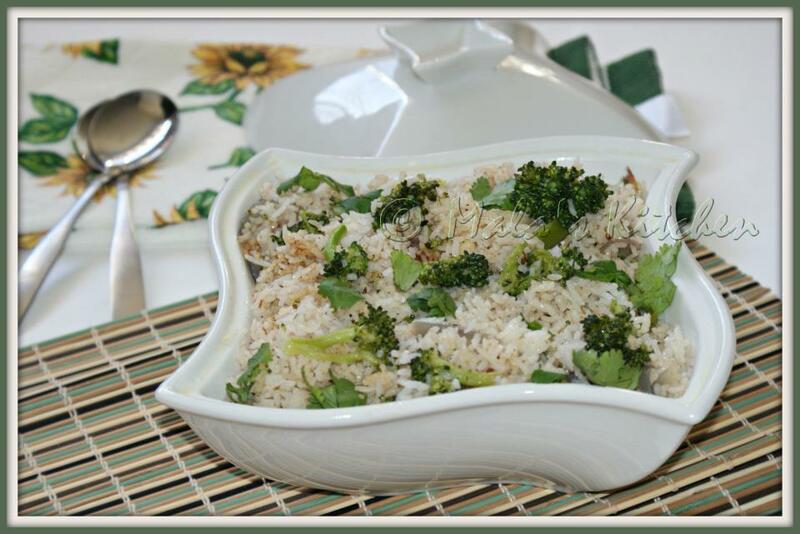 Very new idea to make a a pulao with broccoli. Lot of people are looking for recipes with broccoli. Simple and healthy recipe ! New to me .LOOKs good. will try sometime..